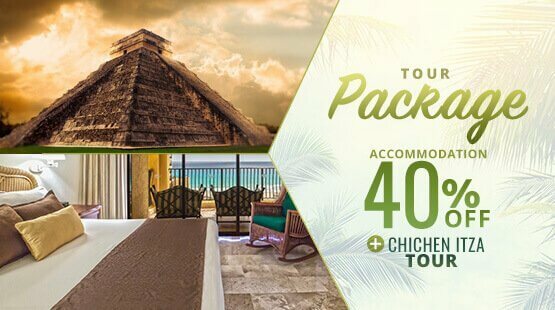 Let your dream vacations in the Caribbean, become a reality with Cancun special deals and promotions on your accommodation at one of the best resorts in Cancun Hotel Zone matching unparalleled amenities and thrilling activities and tours. Are you looking for your own haven of peace to enjoy your family in paradise? 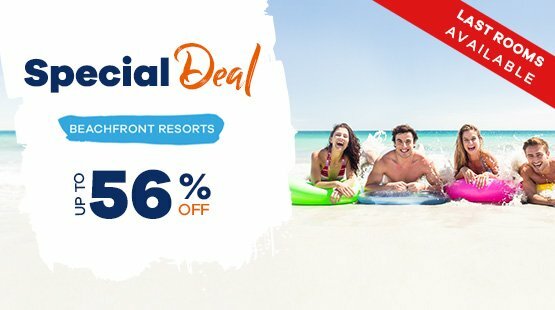 The Royal Cancun All Suites Resort is the place you are looking for, a nice Cancun hotel offering the REFINE All Inclusive plan with all the benefits and ultimate amenities or the European Plan suiting your budget and plans. 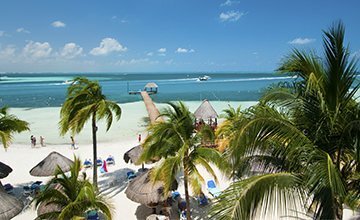 With impeccable colorful gardens and beautifully appointed low-rise buildings evoking a traditional Mexican village -recently refurbished-, The Royal Cancun serves guests yearning for a tranquil oasis of dazzling beaches with crystal clear Caribbean waters. 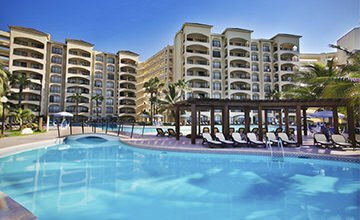 The resort is located in the fine Cancun Hotel Zone and only 10 minutes from the famous commercial area boasting duty free malls. Flawless services, delicious cuisine dishes and unbeatable amenities are offered by our attentive staff to enrich your Cancun vacations with unforgettable moments. 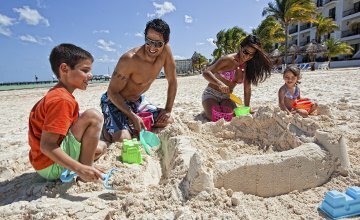 The resort is perfect for families and children, as the protected beach is bathed with shallow waters in a perfectly safe environment in the Caribbean. 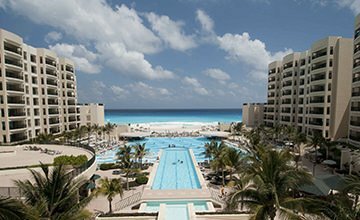 The Royal Cancun guests can also enjoy free access to the sister resort The Royal Sands -only 10 minutes away- where they can enjoy more restaurants and bars in another setting, equally beautiful. "Great for families and grandparents. Generous accommodations. Lovely beach and dining. Pools are perfect, beach scene is inviting, many activities available, spacious, attractive environment. Easy commute from the airport." "Beautiful property, very nice beach. Nice rooms and very helpful staff. The beach sports staff, in particular, were great - thanks to Abel, Carlos and Miguel. An A+ family resort. Almost forgot - very nice pools too." "I’ve been coming here for 15 years. Here’s the kudos for Activities: Fernando my man, been here for 14 yrs can’t say enough of what he’s meant to the good times we had here. Jorge beach volleyball and Paola, rockstars. Food amazing, service too good this place will always have cool memories." Let yourself go and live relaxing days in your own personal hideaway offering comfortable accommodations in spacious villas with two private rooms. 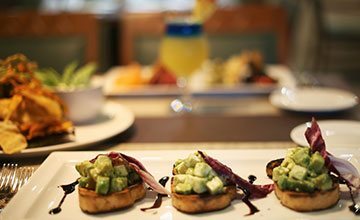 Begin a culinary journey that perfectly matches the resort’s beautiful Caribbean setting. Our outstanding chefs will serve you the finest dishes, from Italian favorites to international food. 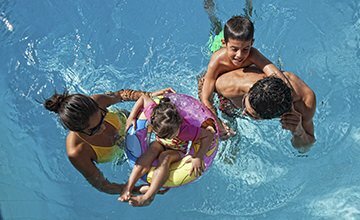 Your days under the Caribbean sun with your family will be filled with the best of Cancun: pools, delicious restaurants, mini spa, tennis courts and much more.